A thrilling adventure in the amazing world of harry potter. The tri-wizard tourament. 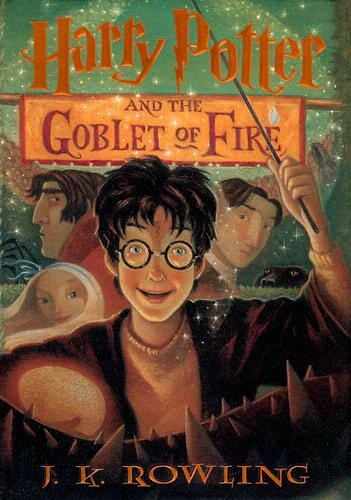 (I have nothing better to do so if you read on I will spoil the book) ………………………………………………….. …………………………………………………..
Harry is the 4th contestant to be chosen by the goblet of fire etc. he Has to battle VOLDEMORT!!! It is a tie etc. Fredgeric Diggory dies and Harry wins etc. he gives his prize money to Fred & George.